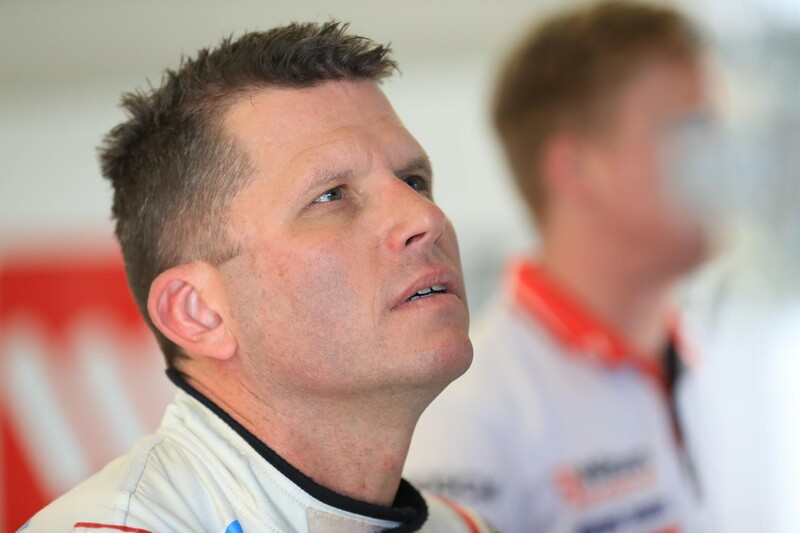 Garth Tander admits Garry Rogers Motorsport has “got a bit of head-scratching to do” after a lacklustre showing at the Perth SuperSprint. 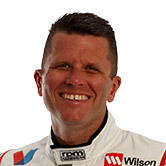 Local hero Tander never figured all weekend, qualifying 20th and 26th and chalking up 19th- and 14th-place race results. 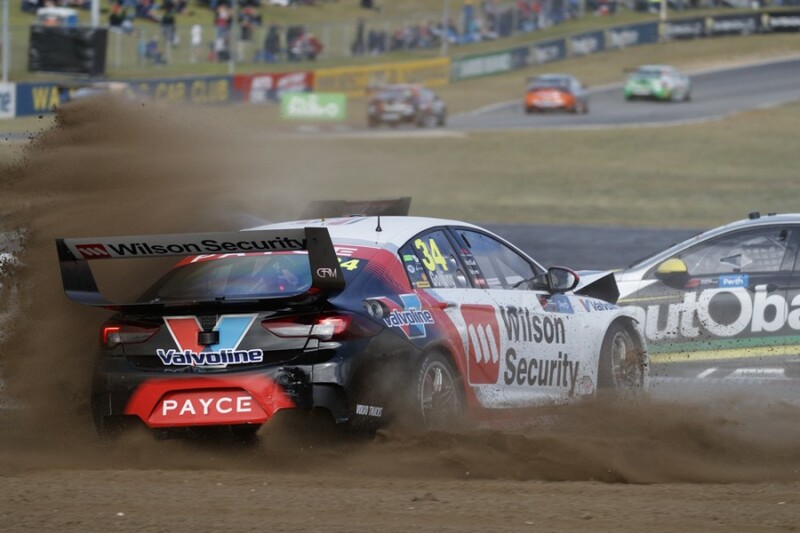 The 2007 Supercars Champion was one of eight drivers to opt for a four-stop strategy on Sunday, as he made up 12 places from the rear of the grid. Rookie team-mate James Golding also struggled, pairing 22nd and 16th grid slots with 22nd and 25th in the races. 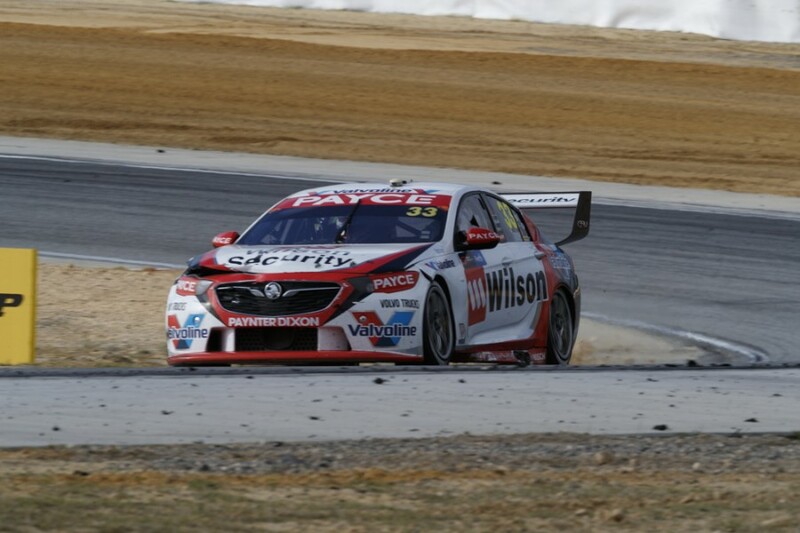 Tander and his #33 Wilson Security-backed Holden had scored at least one top 10 finish at each of the four circuits visited this season before Barbagallo Raceway. “It was a really tough weekend for the team. We couldn’t make the tyre work on this surface,” he reflected. “This surface is so unique. We couldn’t make our car really load up the tyre in qualifying, so we struggled there, and then our tyre life [in the races] wasn’t as strong as we would have liked. “We salvaged a 14th in that last one, but we’ve got a bit of head-scratching to do. “We’ll go back to work and spend a bit of time to really nut out what’s going on. “Thankfully they’re resurfacing Perth for next year, so it’ll be a different ball game. Arguably the team’s high point of the weekend had been Golding’s form on Sunday morning, when setting the 10th-best time in Practice 4 earned an automatic Q2 spot. His race was hampered by two early incidents, however, the #34 Commodore spinning and getting beached at Turn 1 in the second to trigger the lap four Safety Car. Golding’s car had already been damaged from the melee at Turn 5 on the opening lap, in which he was an innocent party. “Obviously at the top there (Turn 5) everyone backed right off, I couldn't see what happened and then mid-corner, bang, before you can ever react you're into the back of the next car,” he said. “That got us a fair bit of damage on the front and I lost a fair bit of aero grip, [creating] understeer and a lot of drag, so it made it easy for cars to get past. 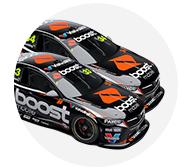 “Then I got caught up in a bit of an incident at Turn 1 where I locked up and tagged the back of another car (Todd Hazelwood) and went round, so it sort of snowballed. 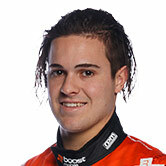 Golding's Sunday spin occurred directly ahead of Tander, with television footage initially unclear as to whether the two team-mates made contact. "He just went in too deep and cleaned up a car in front and I passed them both," Tander recounted. "Then Beibs (Golding) ended up in the sand pit and I got two cars, so I had to get on the radio straight away to Crusty (engineer Richard Hollway) and say I didn't touch him." Tander and Golding are 14th and 25th in the standings respectively ahead of the team’s home event at Winton in less than a fortnight.